For my students who struggle with working memory, I tend to notice that many of these children have a difficult time “playing the movie” of what they have heard or read in their heads. When we read a book, we have a visual, what I like to call “a movie” playing, where we can visually see in our minds what is happening. This affords us to be able to recall what we previously read, while also being able to predict what might happen in the future of the book. But for children who cannot “see the movie” they struggle with all parts of comprehension (recalling details, sequencing details, inferencing and predicting, etc.). So I like to work on what I call “talking and seeing” techniques. “Talking and seeing” techniques are simple activities I do to try and facilitate a child’s ability to “create the movie”. How do I being? Single Page Story and Picture: I like to begin with a simple one page story. This could be a one sentence story or a simple paragraph depending on the child’s level of memory recall and comprehension. If improving auditory comprehension is the goal, I’ll read the story. If improving reading comprehension is the goal, I’ll have the child read the story. Either way, we begin with just words. The rest of the page is blank. After the story is read, we discuss what happened and what “picture” would best describe what we read. Then I have the child draw a meaningful picture for that story. If the child does not like to draw, I may have the child use real objects to create a visual picture of the story, or even use an app on my tablet. I have used create-a- scene in the past which works well to create very simple basic pictures of stories. Multi-page Story and Pictures: As the child masters the ability to create his/her own picture for the single page story without requiring cues or assistance, I move on to a multi-page story. Beginning slowing and moving up in length and complexity. After each set of “drawings”, I have the child retell the story in sequence to determine how well the child’s visuals are aiding in his recall. Single Page “Mind” Story: Then we practice creating a “mind’s eye” picture of a single page story. So the story is read and I ask the child “what picture do you see in your mind?” for this story. As the child gets better and better as describing his “mind’s story”, we move up to longer stories. There are no real pictures or drawing representations at this point. Multi-page “Mind” Stories: We read longer stories and for each page, I ask the child to tell me his “mind’s story” for each page. At the end of the story, I ask the child to use his “mind’s story pictures” to retell the story page by page. Again their are no pictures or drawing representations used but simply the child’s visual memory recall. From this point, I introduce short books and longer and longer narratives using the same techniques. These are some of my simple “seeing and taking” techniques that I use to aid these students. Realistically, a child can take a long time to progress through these stages or they can progress very quickly. It just depends on what techniques work best for them. 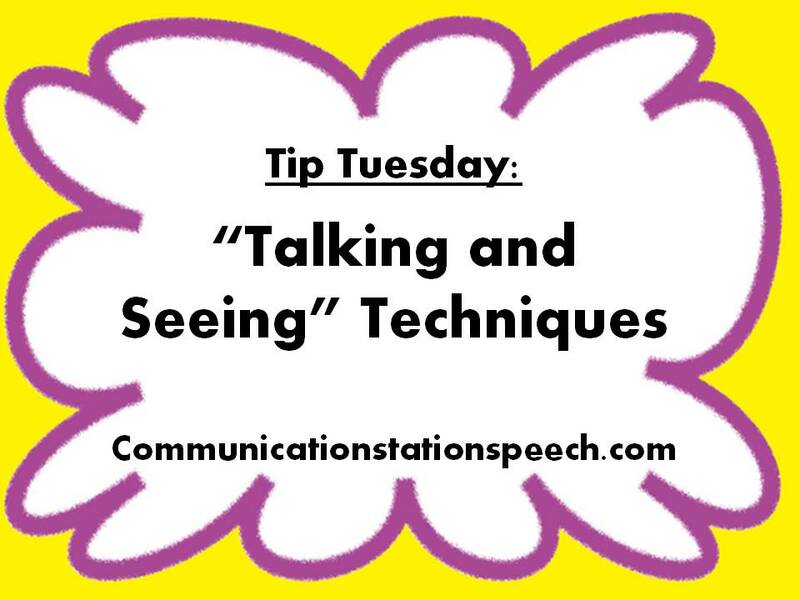 How do you help your students with their “seeing and taking” skills? Comment below!